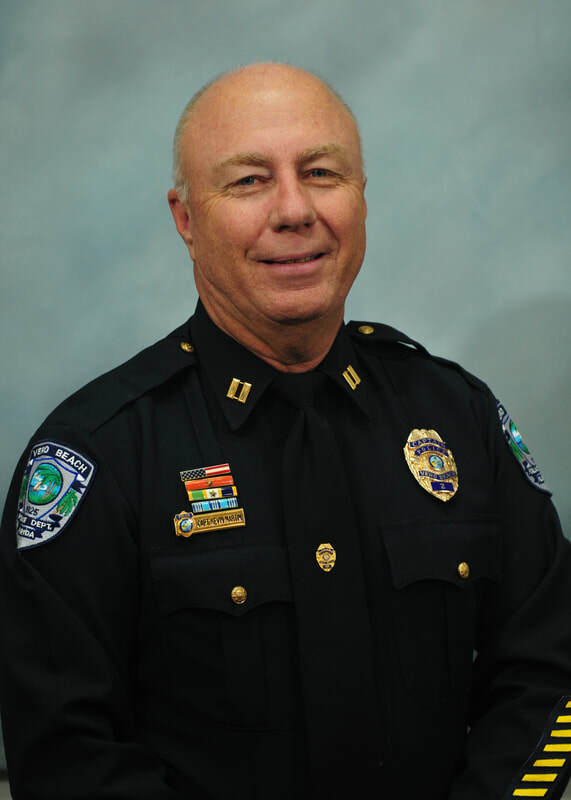 ​Captain Martin has been a member of the Vero Beach Police Department since 1978. He began his career as a dispatcher in the communications center. He has served as a patrol officer, detective, and sergeant in both the Patrol and Detective Divisions. As a lieutenant he served in Patrol, Detective and Professional Standard Divisions. Captain Martin received his Criminal Justice degree from Indian River Community College and his bachelor’s degree from Barry University. He is also a graduate of the Southern Police Institute’s Administrative Officer Course at the University of Louisville, and IPTM’s Police Traffic Management course at the University of North Florida in Jacksonville.